Russian Foreign Minister Sergey Lavrov has announced that the “Islamic state” terrorist organization has been using the Pankisi Gorge in Georgia as a training base. “We have reports that IS militants are using this remote areas to train there, rest and replenish their reserves,” stressed Lavrov at a press conference in Moscow. Indeed, there’s a training center in the Pankisi Gorge, the number of fighters is hardly constant, but there is a flow of fighters from various terrorist groups from the Middle East, — says Alexander Krylov, President of the Scientific Society of Caucasian studies. 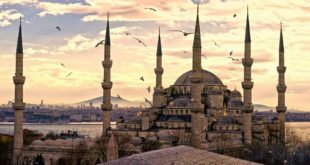 “The military situation in the Middle East is not in favor of the “Islamic state”, and they are forced to emigrate, opening new fronts of struggle in the regions of Caucasus and Central Asia. 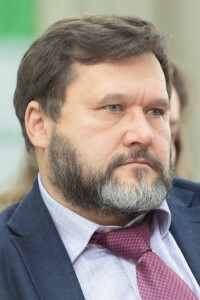 In this regard, the Pankisi Gorge in Georgia may become a reference point for them, and the result of their activity can become acts of terrorism and guerrilla warfare,” told RUSARMINFO Alexander Krylov. According to him, Azerbaijan is the easiest way to penetrate the Caucasus for militants, in Azerbaijan IS fighters have already developed itineraries. If they decide to destabilize the situation in Azerbaijan, they may succeed, since all possible means are at their disposal. “But the greatest danger for Armenia is not the Azerbaijan direction that can be occupied by terrorists, but the situation in the Georgian region of Adjara, from where they can move to Javakheti, and then — to Armenia. This is the worst development for Armenia, and we can objectively say that this is a mounting danger for the Armenian National Security,” noted Alexander Krylov. According to the expert, in spite of such a threat, the South Caucasus countries will not unite their efforts against militants, as the region is reigned by the atmosphere of hostility. 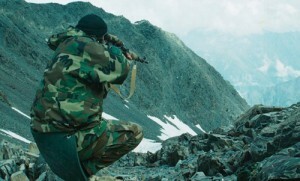 Note: In June of 2015, the Georgian special services conducted in the Pankisi Gorge a secret operation to arrest an armed group allegedly involved in the IS. In particular, Islamist warlord Abu Omar al-Shishani (Tarhan Batirashvili) was arrested.